November 15, 2011 May 31, 2012 Nefer Khepri, Ph. 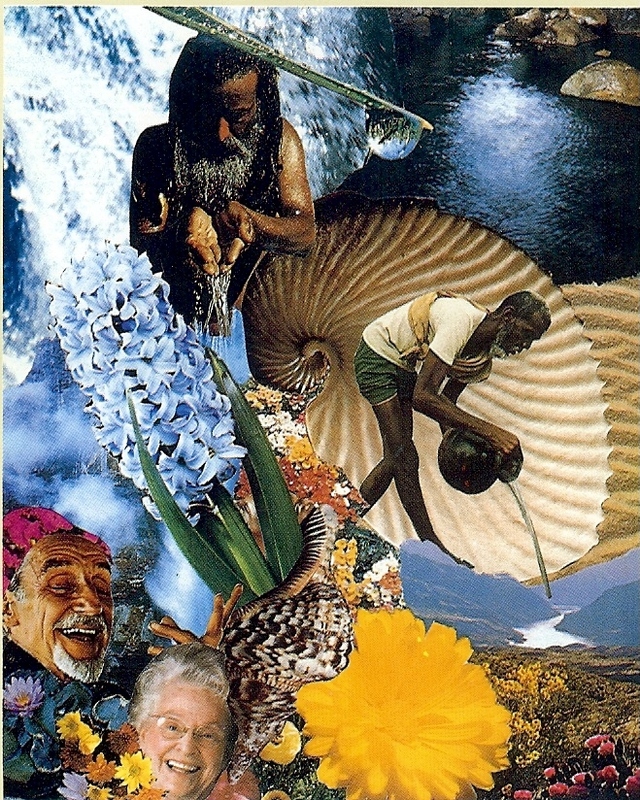 D.
From The Voyager Tarot by James Wanless, Ph. D.
The Sage of Cups corresponds to the Knight of Cups. There is a lot of water imagery on this card. Cups are ruled by the element of Water and Water governs our emotions, healing, creativity, nurturing, and love. The title of “Regenerator” indicates that this card represents someone with healing abilities. For today’s draw I am focused on the man on the right-hand side of the card who is pouring water from a vase. The manner in which the collage was done (and folks, this deck was created way back in the day before Photoshop so all these cards were collaged by hand with scissors & glue!) this man appears to be much larger than the mountains and river below him. Is he a god? I don’t know, but I have always felt he represents some form of a higher power. The water he pours appears to land higher up in the mountain range and may actually be the source of the river. The water represents healing energy and the man is sending this to the earth’s waters so that the healing energy can permeate the entire earth and affect every single living thing, for every life-form on our planet needs water in order to survive. So, once again we’re seeing the theme of new, higher energy coming in and resulting in renewed balance and healing. Open yourselves up to the healing energy that is coming in today simply by saying aloud or to yourself over a glass of water, “I freely open myself to receive the healing energy that is coming to the earth today.” Say this three times. Drink the water. Give thanks. It is done. Simple as that.